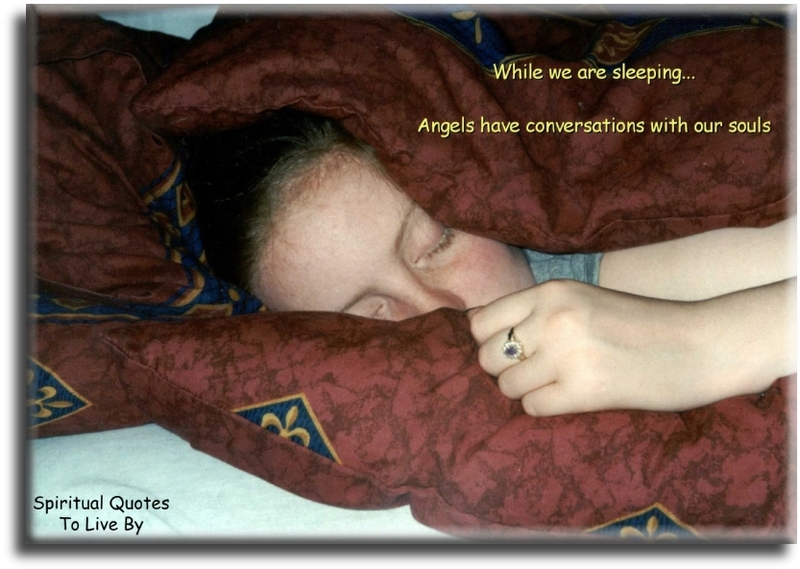 These sayings about Angels are all from unknown sources. 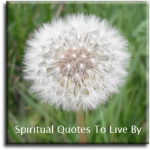 For more wise and loving words from known authors there is the Angel Quotes page. A grandmother is like an Angel, who takes you under her wing. She prays and watches over you and she'd give you anything. A Guardian Angel walks with us sent from up above, their loving wings surround us and enfold us with love. Although we may not see them and they don't make a sound, whenever they are needed our Angel is around. I believe in Angels, the kind that Heaven sends. I am surrounded by Angels, but I call them friends. If we ask our Guardian Angel in a thought or in a prayer to come and stand beside us, our Angel will be there. If you choose to believe you'll soon have confirmation that Angels do exist for you'll be filled with inspiration. If you need an Angels help, you only have to say, and soon you'll find that things will start improving right away. 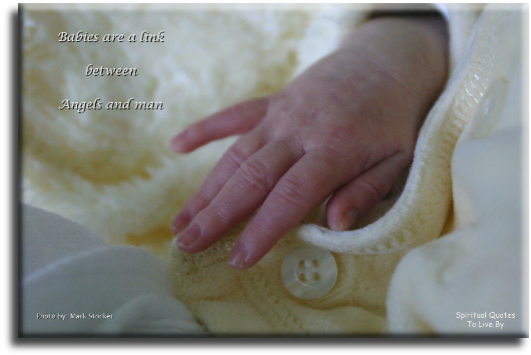 It only takes a thought and your Angel will be there, for although you may not see them, you're always in their care. Our Guardian Angel is there to help in everything we do, to give hope and light our way, with love the whole year through. Our mystical devoted friends are always close at hand, and whatever we ask of them, they always understand. Remember that you are special to the Angels up above, who will guide you and protect you and surround you with their love. The Angels tend life's garden with comfort, hope and love. They're special messengers of joy sent down from up above. There are Angels all among us sent down from up above to offer guidance and protection and unconditional love. There's a Guardian Angel beside you every day. If you trust in her she'll take your hand and gently show the way. We all have a Guardian Angel sent down from above, to keep us safe from harm and surround us with their love. When we see a snow white feather resting on the ground, it surely is a sign our Guardian Angel is around. 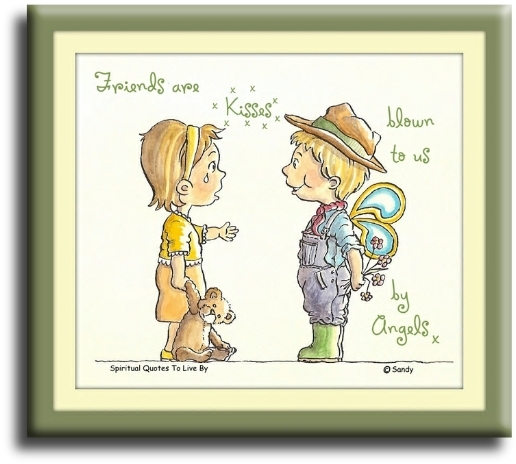 When you believe in Angels you can greet each brand new day, knowing you have a Heavenly friend who will guide you on your way. When you need a Heavenly hug or comfort from above, your Angel's wings, soft as a cloud, will wrap you up in love. When you see a snow white feather drifting on the breeze, you will know your Angel has sent a sign to put your mind at ease. When you're feeling happy there's an Angel smiling too, they want the very best for us, no matter what we do. With Divine encouragement it is easier to succeed, so tell your Angel if it's strength and fortitude you need. You should never feel alone there's always someone to turn to, it is your Guardian Angel who is watching over you. Your Angel is a friend whenever you may find that you need some gentle guidance, to restore your peace of mind. Your Angel's love will light your way and make it clear to see which path will lead to happiness and where you long to be.